Actor and comedian Michael Joiner began his career in Hollywood in 1986 and he has been based in Kansas City since 1994. 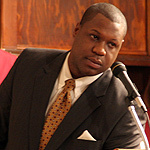 While the role of Mac in THE GRACE CARD is a dramatic one, Michael is best known as one of the nation's funniest "clean" comedians. He has been called, "One of the funniest, most original standup comedians working today," by TV Guide. In addition to appearing in major comedy clubs across the country, Michael has written for "The Tonight Show with Jay Leno." He has also appeared in various film, television, and commercial roles. Michael Higgenbottom is an accomplished theater and commercial acting performer in Memphis. THE GRACE CARD is his first film and he costars with Michael Joiner and Louis Gossett Jr. Michael, who is also an aspiring poet and author, currently works in the aviation industry. A Chicago native, Michael began pursuing his dream of acting after moving to Memphis in 2000. An alumni of Knoxville College and the University of Memphis, Michael is a twin, has a set of younger twin brothers, his twin sister has twins, and his grandmother had five sets of twins! Michael has ... no children. 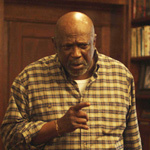 Louis Gossett Jr., whose stellar career has endeared him to fans worldwide, is one of a select group of actors to win both an Academy Award and an Emmy Award. He is best known for his Academy Award-winning performance in the film classic, An Officer and a Gentleman and an Emmy for his role as Fiddler in the historic TV miniseries "Roots." Louis appeared in his first Broadway role ("Take A Giant Step") in 1953 when he was just 16 years old. Among his other well-known productions: A Raisin in the Sun, The Deep, and countless guest-starring roles on popular television programs through the decades. In 2006, Louis decided to focus his energies on fighting social ills when he founded The Eracism Foundation, a nonprofit organization designed to create a "conscious offensive against racism, violence and ignorance." Toward that end, the foundation has created programs focused on youth mentoring, anti-gang violence initiatives, and diversity sensitivity training sessions known as Shamba Centers. Joy Parmer Moore had no classical preparation for her first film role as Mac's wife Sara in THE GRACE CARD. With a degree in Elementary Education from Mid-America Nazarene University, she has been an elementary school teacher in the Memphis area and a children's minister at a church in Alabama. Joy began to realize a serious interest in acting and pursued it through multiple stage roles at Calvary Church in Cordova, Tennessee where she and her family have attended for 14 years. She has also directed smaller stage productions for adults and children. She and her husband Paul have four children and two grandchildren. While THE GRACE CARD is her first film role, Dawntoya Thomason has an impressive background in entertainment. 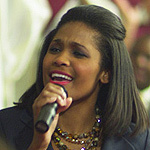 A singer/songwriter with theatrical experience, Dawntoya was a contestant on "American Idol" during the show's ninth season. Among the plays Dawntoya has appeared in: "Music Man," "Alice in Wonderland," "Dr. Dolittle," and "Bridge to Terabithia." She has also appeared in local television commercials. Dawntoya's husband, Adam Thomason, is the author of the recently released book, Red Revolution. An accomplished musician (and trumpet-playing member of the University of Memphis' "Mighty Sound of the South Marching Band") THE GRACE CARD is Rob Erickson's first acting experience. Encouraged by a friend to audition, Rob saw the role as a ministry opportunity to share God's message of grace and forgiveness. In addition to the trumpet, Rob also plays the piano, guitar, bass guitar, and other brass instruments. He also enjoys playing Ultimate Frisbee, swimming, and backpacking—he's a veteran of more than 100 miles of Appalachian Trail hiking. One of six children in a blended family, Rob has a twin brother. He has a heart for missions, having been involved with several projects with Calvary Church of the Nazarene, which he has attended his entire life. Although Cindy Holmes Hodge is new to film, acting has been part of her life since her days at Trevecca Nazarene University in Nashville. In addition to extensive community theater work, Cindy has landed a number of voiceover roles. These include character voices for Man Of Destiny by Mosie Lister, narration on Life Of Christ by David T. Clydesdale, and Dramatization of the Old Testament: King James Version Of The Bible for the World Bible Society. Cindy has also been the voice for industrial and training materials. Cindy's voice work on video projects includes Mother Goose for Mother Goose Gospel Volumes 1 and 2 and Mother Goose Goes To The Zoo; Phoebe the Hippopotamus and Felicia Feline in multiple Pro-Kids projects including Snowbird And The Forgotten Christmas. In addition, she was the voice of Mrs. Farmer Brown in Nickelodeon's Eat Your Veggies series. 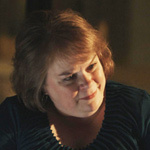 Cindy is married to Mark and has served as his partner in worship and arts ministry to local churches since 1992, including at Calvary Church in Cordova, Tennessee since 2003. Their productions include dinner-theater presentations and The Passion Play At Calvary Church, a multi-medium presentation of the life of Christ. Cindy and Mark are parents to daughter Taylor and son Cameron.